The Delhi Food Truck Festival which was slated to happen on 11th and 12th November, 2017 was pushed to 25th and 26th November in Jawaharlal Nehru Stadium, Delhi. 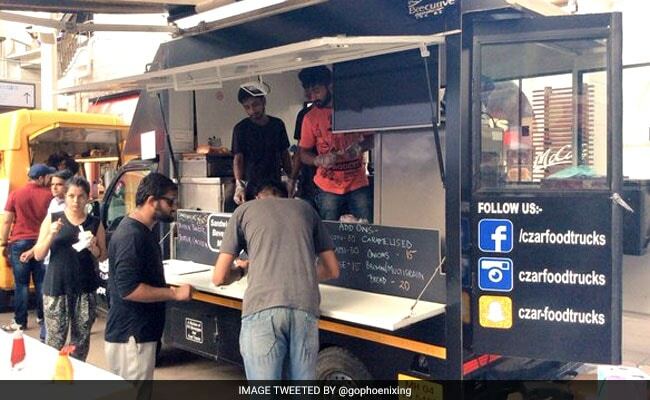 Foodies, the most awaited winter edition of the Delhi Food Truck Festival, is finally here! The grand fest which was slated to happen on 11th and 12th November, 2017 was pushed to 25th and 26th November, because of the excessive suffocating air pollution engulfing the National capital. The DFTF 2017 at the JLN Stadium saw a huge success early this year and came back to celebrate food, however, air pollution made the organizers shift the plan to December, but now they have decided to open the gates to the public today at the Jawaharlal Nehru Stadium. "This edition will see mouthwatering and sumptuous cuisines from across the globe from more than 40 food truck brands, over 30 food and beverage stalls, a mega bar and an exclusive sheesha lounge. Coupled with interesting games and fun activities and live music form some of the best singers and bands, we assure a fun filled food and musical extravaganza," Abhishek Deo, Founder and Festival Director, DFTF was quoted in a report in IANS. The DFTF 2017 will have more than 40 food trucks including Lalit Food truck, Celebrations Express, Hunger Theka, Thyme, BBQ, Lobo, Crazy Trucker, et al, over 30 F&B stall, a mega bar along with mouth-watering and scrumptious cuisines from across the globe. Apart from this, there will be live performances by bands like Knox Artiste, Zikr Band, DJ Basspatch and Mankirt Aulakh among others.